Curious why I have not been blogging lately? I went back and forth on whether or not to publicly share the devastation that my family and other families in my hometown have recently experienced because I try to keep my blog content positive and upbeat but I decided it was best to "keep it real" by sharing my story. 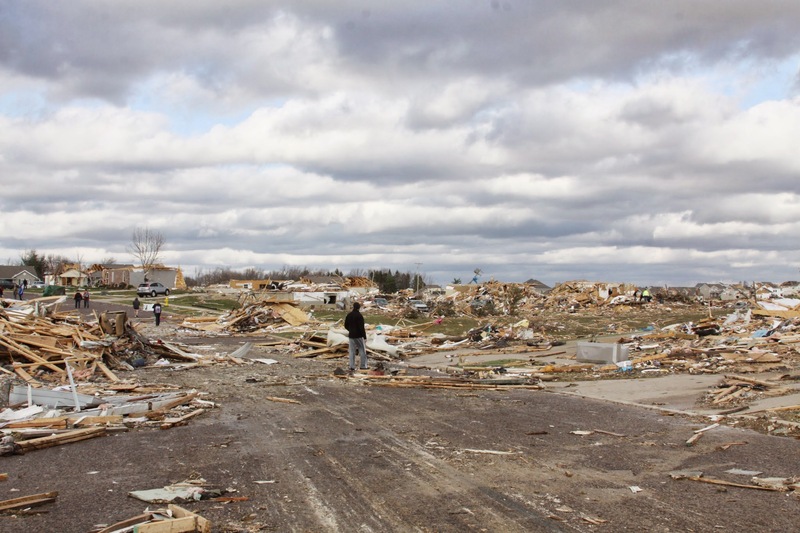 November 17, 2013 Washington, Illinois experienced a TORNADO disaster. 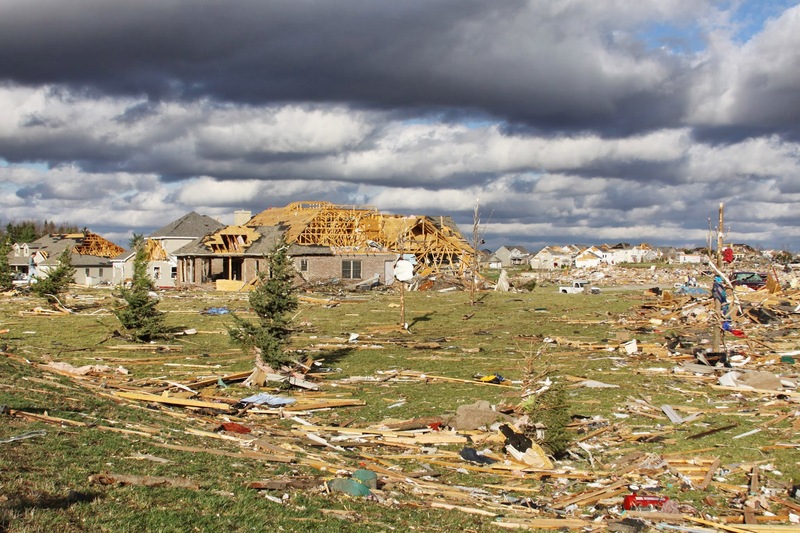 The TORNADO outbreak was categorized an EF-4, 190 mph winds, 46.2 miles long, one-half mile wide, damaged/destroyed 1,100 homes, 125 injuries/3 fatalities and many lost pets. 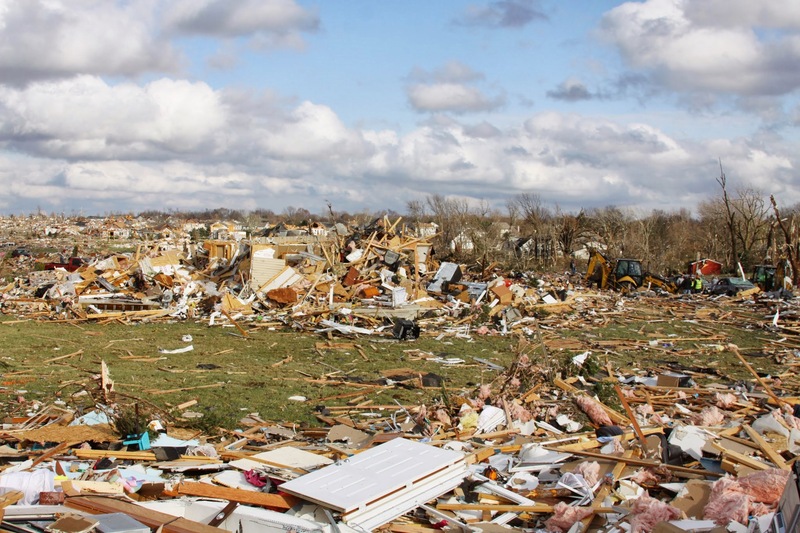 TORNADO disaster recovery sources are at the bottom of this post. It was late morning on Sunday, November 17th. My two children were thankfully staying at my in-laws in another town that weekend and had not came home yet. My husband and I were at home in our pajamas when we noticed the weather seemed odd outside. It was windy, rainy, dark skies yet felt warm. Our cell phone alarms started going off with TORNADO warnings for our area. Soon after our town TORNADO sirens began wailing but since that happens all the time here during the Spring season, we didn't take it too seriously. I was in the restroom watching the weather out my window and heard a mother screaming dramatically for her child to get in the house. I looked around but saw no one. My husband was down stairs in the basement playing video games when the power shut off. I heard my husband run up the stairs and hysterically yell for me to get in the basement immediately because he could see the TORNADO clouds outside the window over our neighbors house. I then heard the sound of a loud wind similar to a freight train. I began to run as quickly as possible down to the basement while I could hear windows breaking one by one behind me. When we got to the basement we huddled down together in our laundry room where there were no windows and closed the door. I have never ever been so scared in all my life. The house began to shake and so did our bodies. I started to scream and cry hysterically while it loudly sounded as if our home was being ripped apart. Then suddenly everything just stopped! It got very calm and quiet. I was too frightened to go upstairs because of what I may or may not see exist. So my husband went to check the status of our home. He yelled that it was safe and our home was ok. I went upstairs and started to calm down, my house was still there but there was quite a bit of damage. My husband immediately called his parents to tell them what happened and to not bring the kids home. I called my mom to inform her and my family that we were all safe. 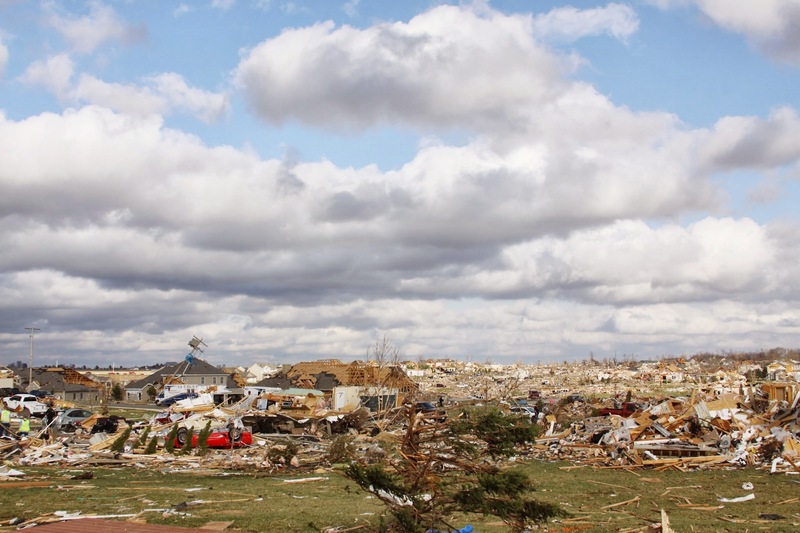 While on the phone, I stepped out onto my back deck and as far as I could see hundreds of homes that used to reside behind us were all gone. 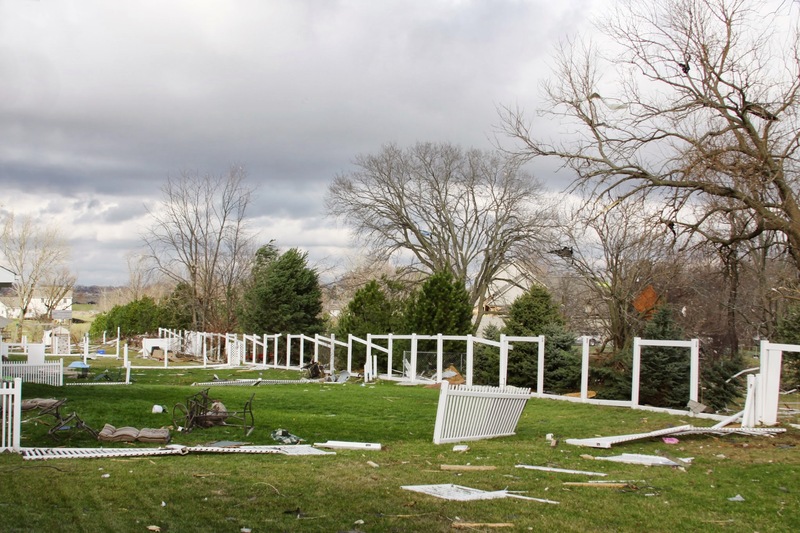 The TORNADO had barely missed our house by about half a block and had destroyed everything else in its path. I fell to the floor sobbing and worried about all those people. I pulled my emotions together the best I could, got dressed and we both ran door to door to door of our neighbors to check on as many as we could. Everyone on my block that I knew of was accounted for but one man was injured. Then I worried about my friend, Jodi and her family who lived a couple streets over. 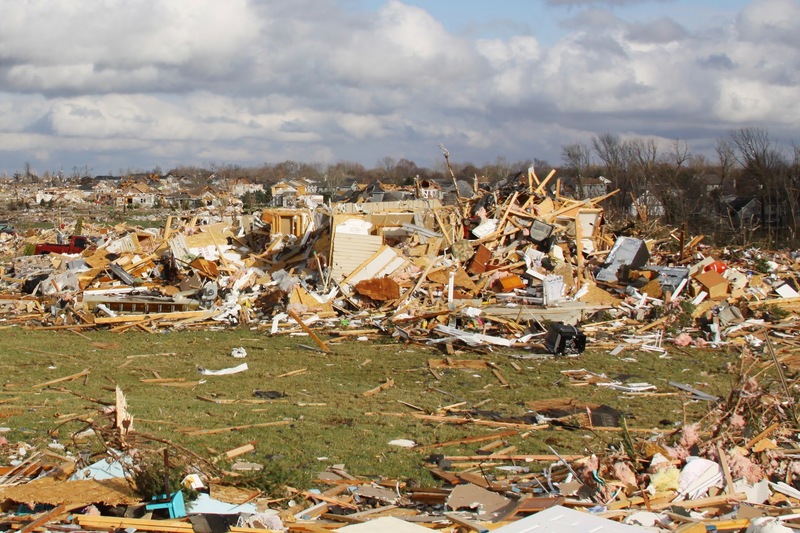 We ran there and noticed one by one gradually each home was progressively more and more damaged, then eventually they were all destroyed. 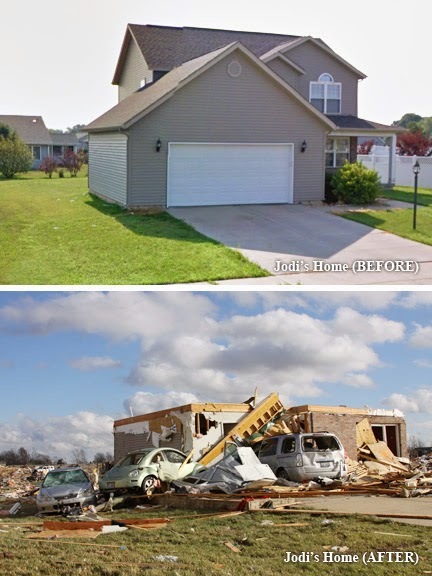 Jodi and her family were safe but the majority of their home was gone. I began to cry again but she was in more of a state of shock and was not acting like herself. Jodi said she was missing her wedding ring and wanted us to help look for it. 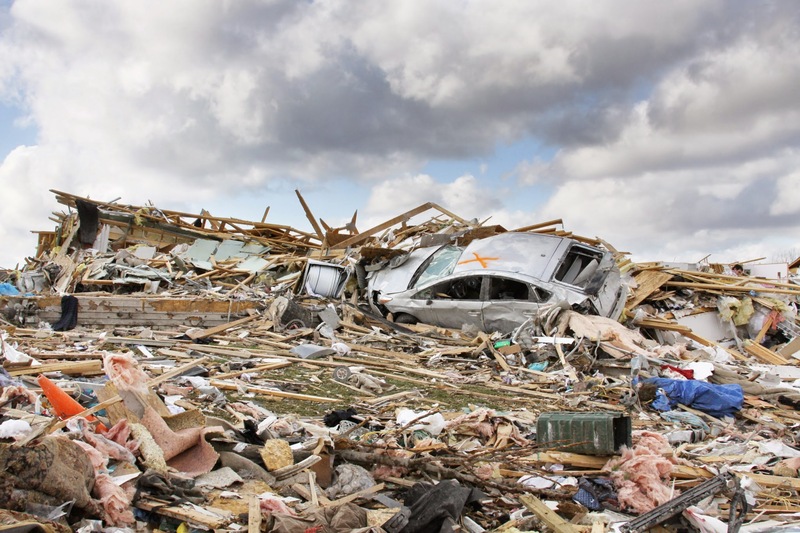 We rummaged through the rubble in her yard and collected photographs but no ring was found. A man from the property behind hers was yelling for help. 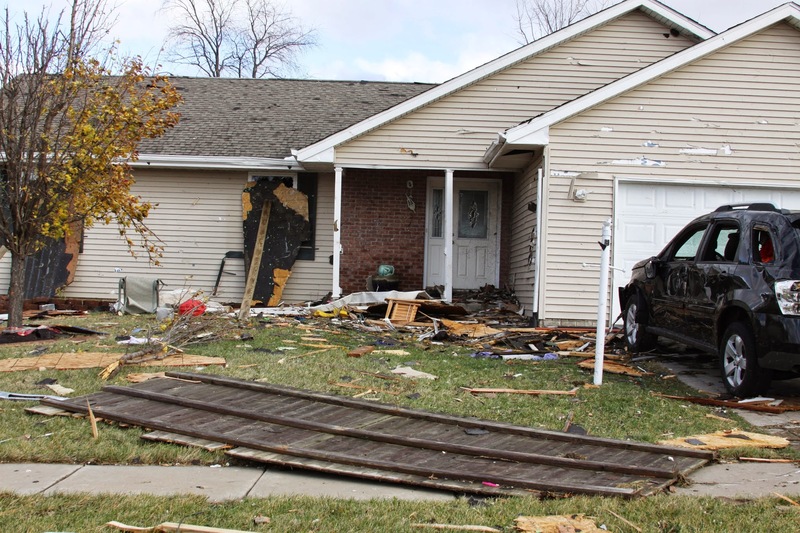 He was in his basement but needed to be pulled out because he was stuck under heavy debris. Many men ran to assist him, painfully pulled him out, placed him on a door and took him to get medical attention. Another family next door was being rescued from their basement. There was an intense smell of gas everywhere and I could hear lots of running water. We were told by Firefighters that it was not safe to be in that area. 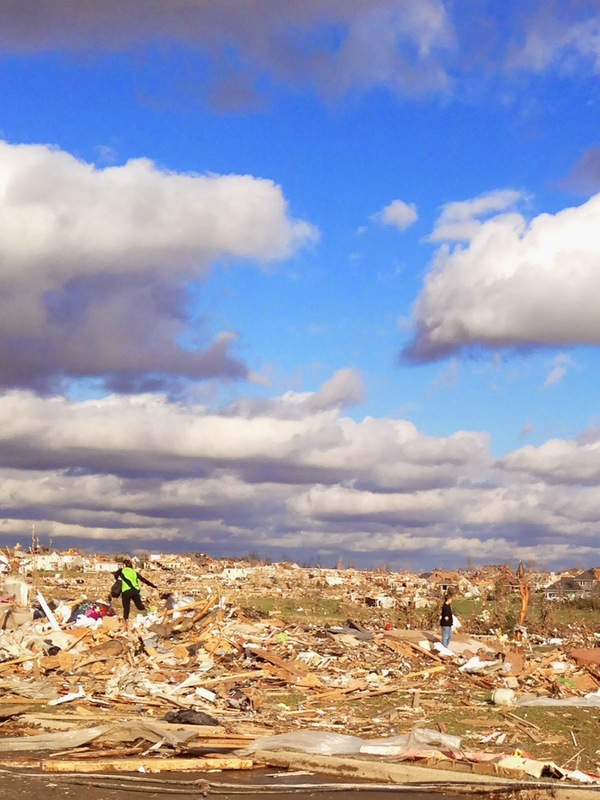 We began to walk home and on the way back, it was so sad and devastating to see all the women, men and children searching for meaningful belongings through piles of debris where their homes used to be. Most wives were crying, husbands were optimistically supporting their wives and children just stood there in a quiet state of shock. 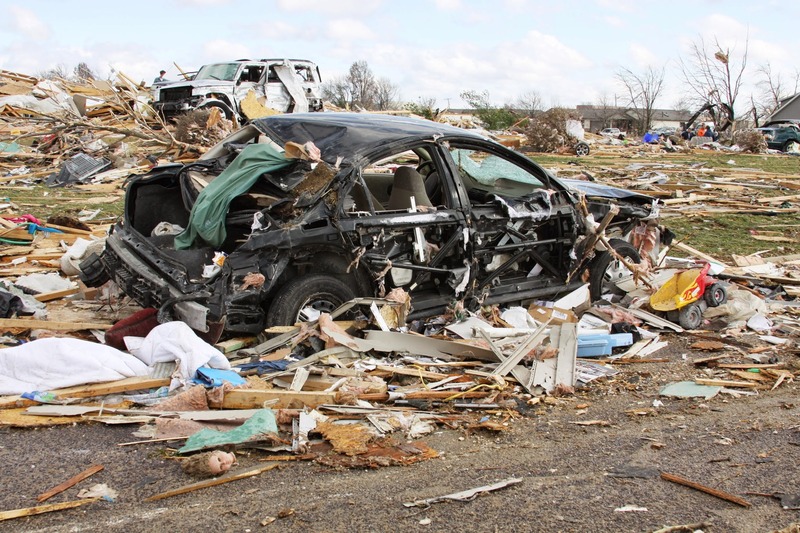 Vehicles had been tossed around everywhere and were crushed. Most of the lots looked like a lumber scrap yard. 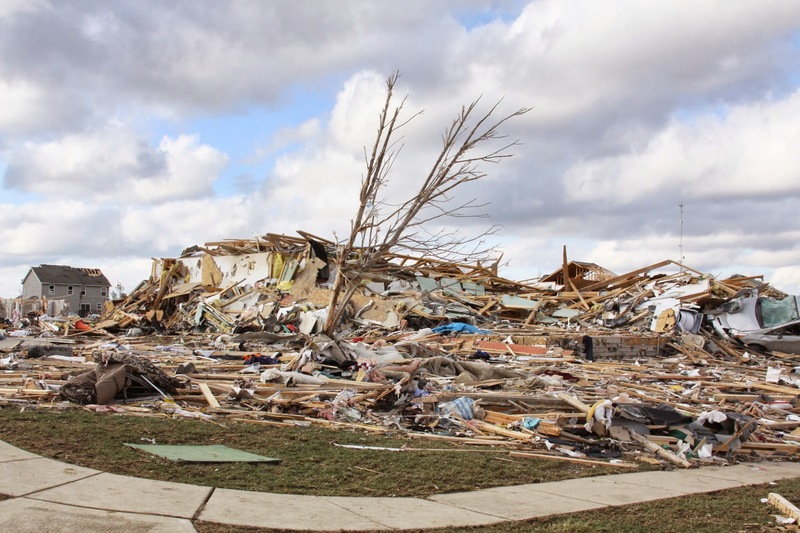 Homes that weren't completely destroyed were most likely severely damaged by debris such as car parts sticking out of their siding, bricks caused holes in roofing, playgrounds tossed down the street, patio furniture and mattresses forced through windows, etc. After all the Firefighters went door to door to account for each individual, they marked each home with a giant X. 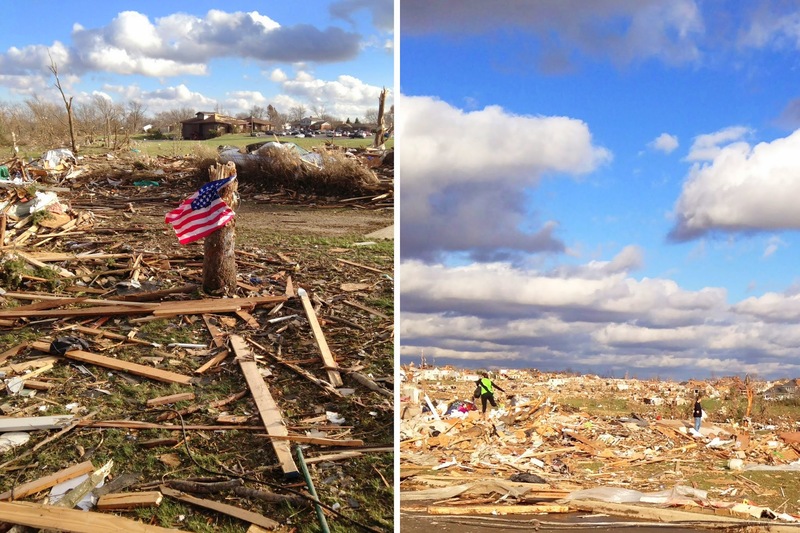 When the search for people was complete, debris clean-up started immediately. Our phones rang like crazy from family and friends checking to make sure we were all safe. We wanted to clean our children's rooms first so that they wouldn't see how bad they looked. With no power or heat and strong winds blowing, it got very cold and dark. 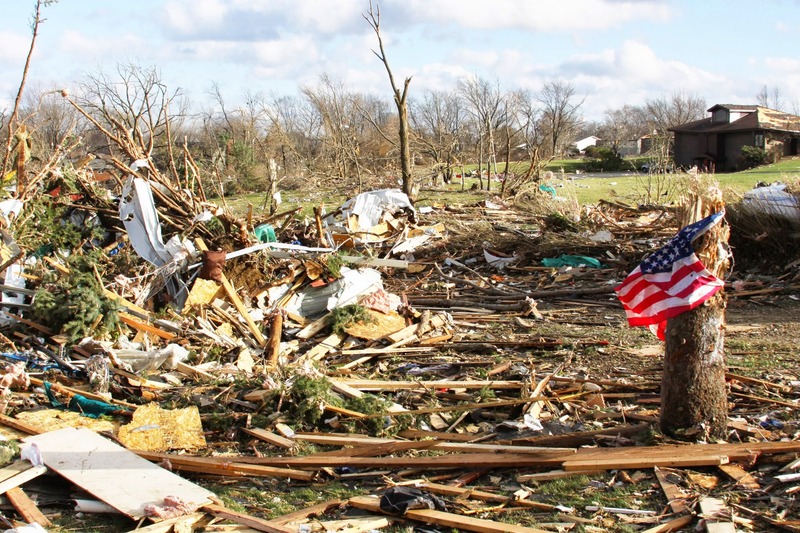 Each home member and volunteers did their best to board up windows, doors and roofs. The first thing I wanted to do was just hold my kids in my arms as soon as possible. So we generously packed our bags and planned to stay with family and friends for a while. For many days/weeks the entire subdivision and surrounding areas were under a community lock down by the local police. 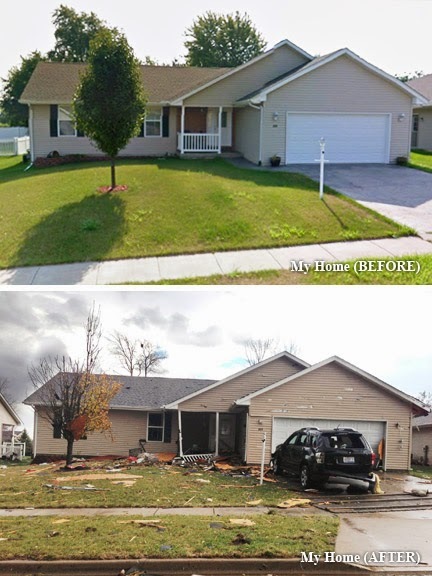 Our personal TORNADO damage list consisted of a vehicle destroyed, entire siding, entire roof, 8+ windows, garage door, garage wall, attic wall, front door, outdoor light fixtures, porch posts/railing, mailbox, large gazebo, grill, outdoor decor, umbrella, hammock stands, tree house/playground set, misc. toys, beds/bedding, curtains/blinds, clothing, furniture, etc. 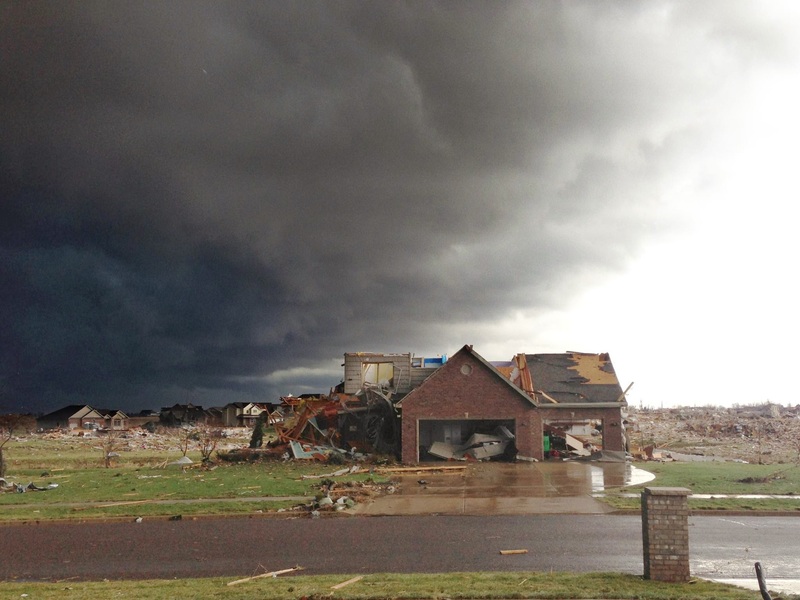 For multiple weeks afterwards I felt emotionally overwhelmed and concerned for the safety of my family and our home, so I can only imagine how others who were more affected than us must have felt. Every time I looked or went outside it was like it just happened all over again. From now on, I will definitely take TORNADO sirens/warnings much more seriously and go to safety immediately as a precaution. 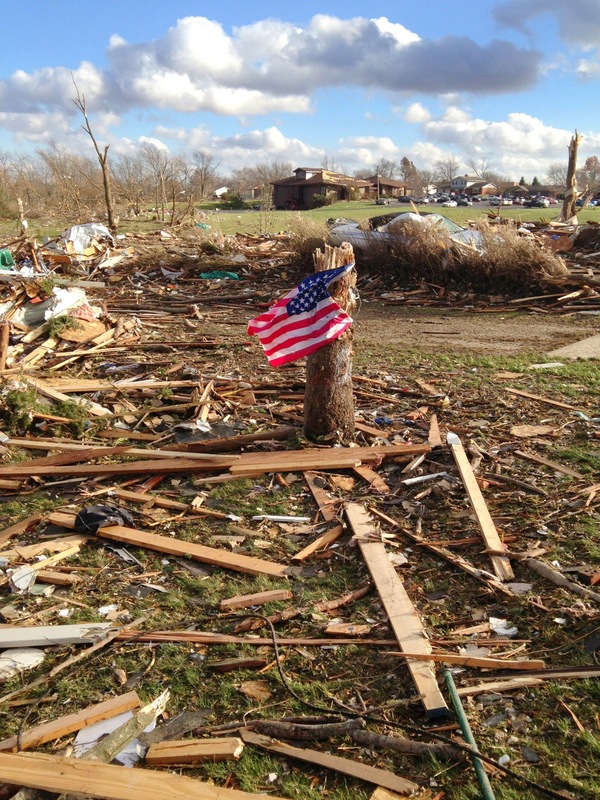 My heart goes out to all those who have been affected and experienced any kind of loss due to the TORNADO. If you would like to show support, volunteer or make donations, you should be able to contact one of the sources below or search for other similar online sources. 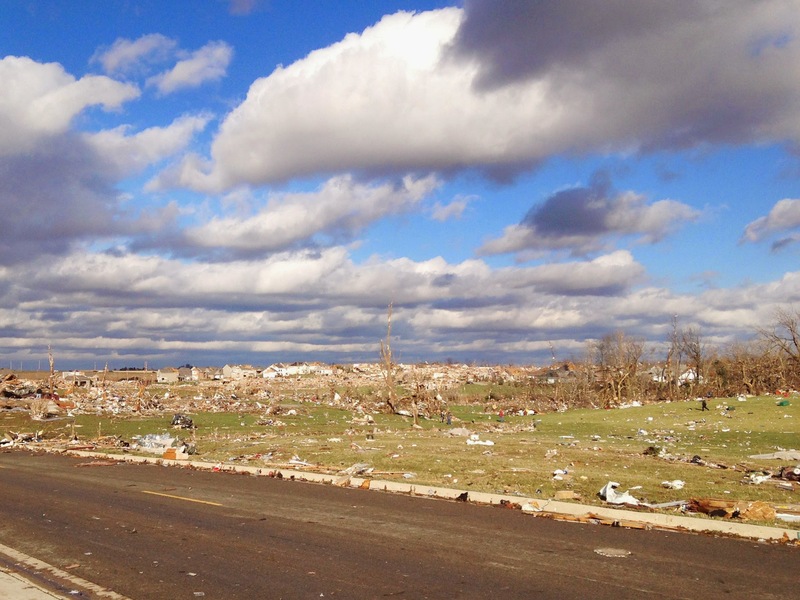 Later this SPRING, I will post an UPDATE to share my personal progress and the rebuilding of Washington, IL. 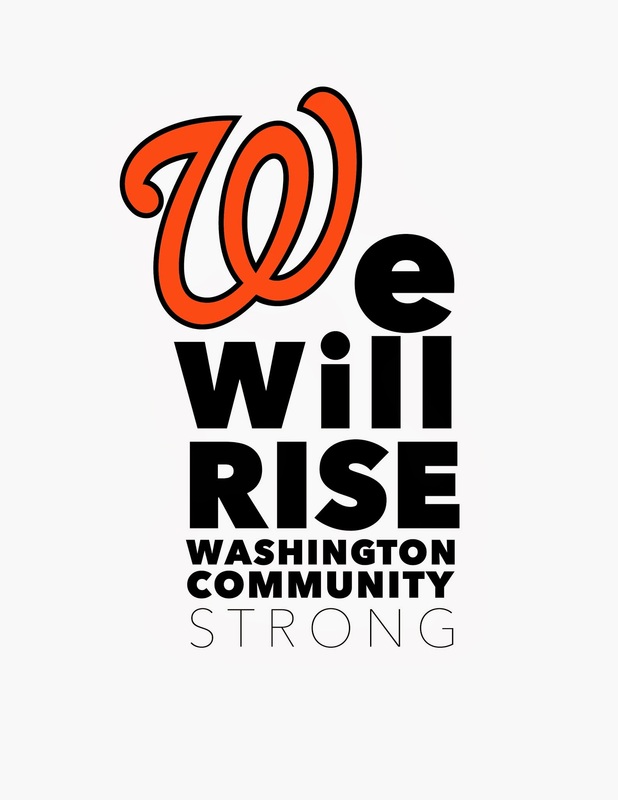 WASHINGTON STRONG! WE WILL RISE & REBUILD! 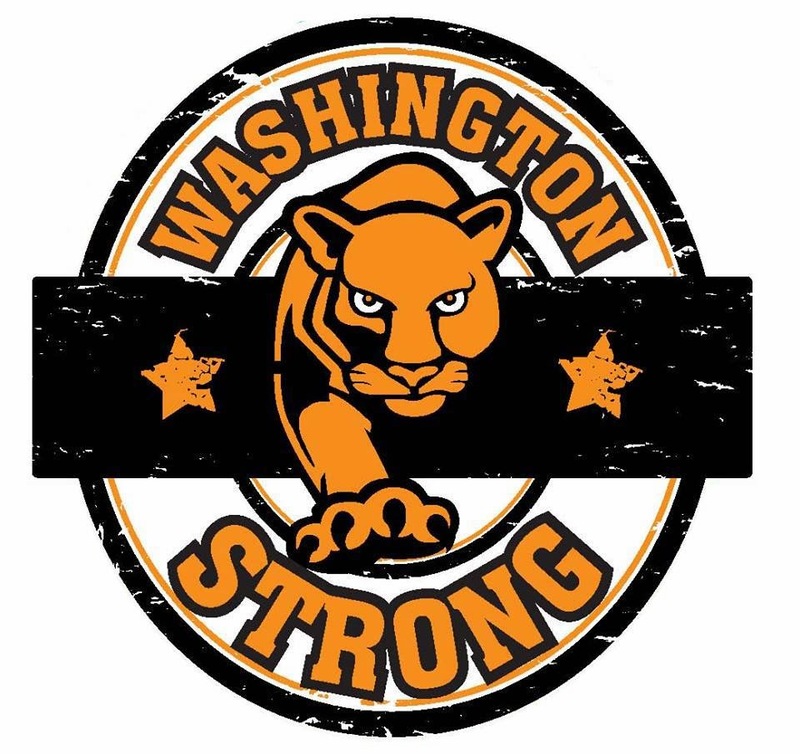 "Washington Strong" T-shirts & flags can be purchased at TEAMWORKS! 100% proceeds go to local victims.